Image Size: 12.2" x 16.1"
Description: An original acrylic painting by Tiffany Budd on a 1.2" deep box canvas. 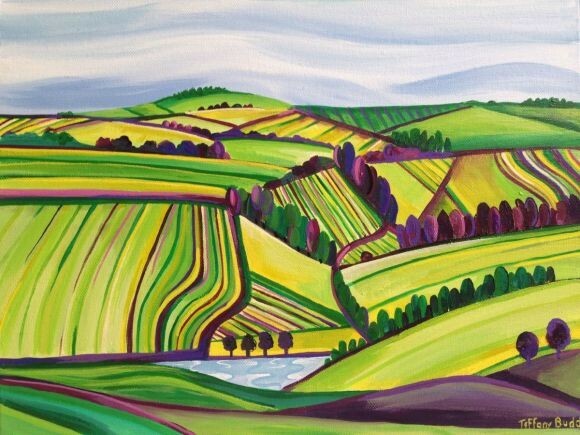 This is a contemporary acrylic painting of Dorset hills from the hilltop of Maiden Castle. Painted on a chunky canvas, this is ready to hang. "I had a holiday to Dorset this year and just loved the softly rolling hills of Dorset and the colours I could see"!